This 12" single presents a six minute remix (or 'extended version') of the track and two quite funny, almost punk-inspired, B-sides. Stephan Remmler, Gert 'Kralle' Krawinkel and Peter Behrens formed Trio in 1980. They used the term 'Neue Deutsche Fröhlichkeit' ('New German cheerfulness') to describe their music. Their main principle was to remove almost all the ornamentation and polish from their songs, and to use the simplest practical structures (most of their songs were three chord songs). 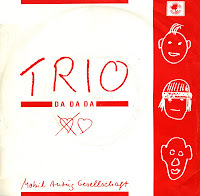 Their most popular song was 'Da da da', which reached number 2 in the UK singles chart and number 7 in the Dutch Top 40. Cover versions were recorded by Elastica and Christina Aguilera (for a Pepsi ad). 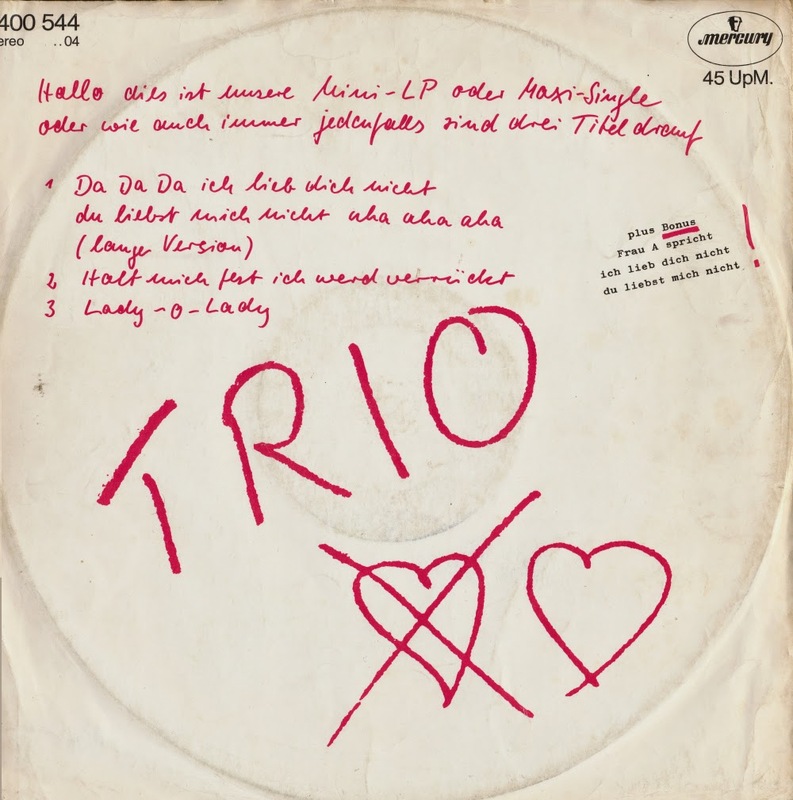 The German pop band Trio consisted of Stephan Remmler, Gert Krawinkel and Peter Behrens. Formed in 1979 they became part of the 'Neue Deutsche Welle' movement in the early Eighties. Their single 'Da da da I don't love you' (1982) was a worldwide hit. 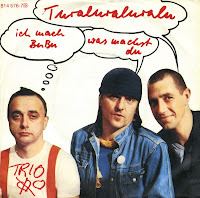 In 1984 they released 'Turaluraluralu (ich mach BuBu, was machst du' (also released in an English version titled 'Tooralooralooraloo (is it old and is it new)'. It was their last hit in the Netherlands, peaking at number 34. Personally I thought it was their best single for its unashamed relaxedness and simple melody.